Tamara is currently studying in her 3 year of a Bachelor of Psychological Science Degree at the University of New South Wales. She is really excited to be a part of the Parent-Child Research Clinic where she is involved in Child Assessment and General Administration in the Lab. 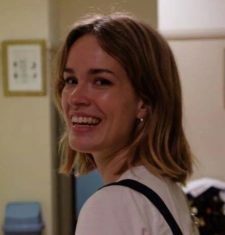 Her interests lie in Psychopathology and Developmental Psychology, and working at the Parent-Child Research Clinic allows her to gain invaluable experience working with Children and Families in this purposeful area of research.